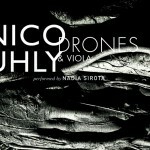 Nico’s latest venture is a three-part digital release based around the concept of drones around which he develops harmonic structures. 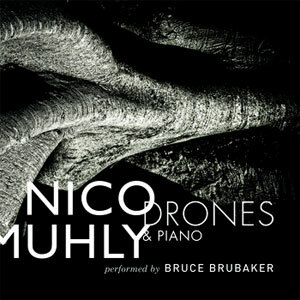 Each EP focuses around one particular instrument (piano, performed by Bruce Brubaker, for the first instalment, viola, played by Nadia Sirota, for the second, violin, played by Pekka Kuusisto, for the third), but all three set of compositions are intricately linked by a unique idea. If drones form the basis of these compositions, the music resulting is everything but static. On Drones & Piano, Muhly alternates between hectic swirling miniatures and gentler, more subtle pieces. Essentially though, he fleshes out his drones with complex themes which in turn flow at high velocity or repeatedly stumble upon a particular passage. Brubaker, accompanied by Nadia Sirota on viola, finds himself confronted with angular melodies and very little dynamic to play against. 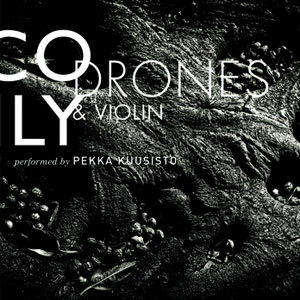 The viola drones are at times barely audible as they are kept voluntarily to the back of the mix, leaving the piano motifs to do much of the work. The pair also perform the second part of Muhly’s trilogy together, with the same principle, and a similar delivery, being adopted. There is, however, a clever reversal of roles which becomes more apparent as the EP progresses. If in the first part, Material In D, the piano still appears very much as lead, and it is also true of the third part, Material With No Tricks, but the viola takes on a more dramatic role on Material In A Handsome Stack, and continues to gain ground on the last part. little more than a simple cluster of dots on the horizon as violin and viola echo each other, and this is even more the case on part three, Material In Two Keys, where a single piano note is repeated throughout as violin and viola compete from attention. The piano is again placed in contrast to the string instruments on the second part, but the whole relationship becomes much more complex in the last part as all three instruments freely circle around each other, at times picking on a theme or going against it entirely. 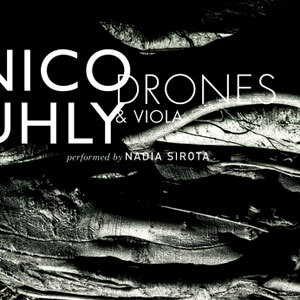 By introducing a violin on this last instalment, Nico Muhly doesn’t only alter the tone of the work but also throws the balance between instruments out, reducing the role of piano considerable and bringing together the two stringed instruments. Overall however, Muhly challenges his compositional skills rather brilliantly and creates three intensely captivating series of compositions.